S.D.-R - Supports healthy kidney and bladder function. * (Stone Root, Marshmallow Root, Hydrangea Root). sdr . 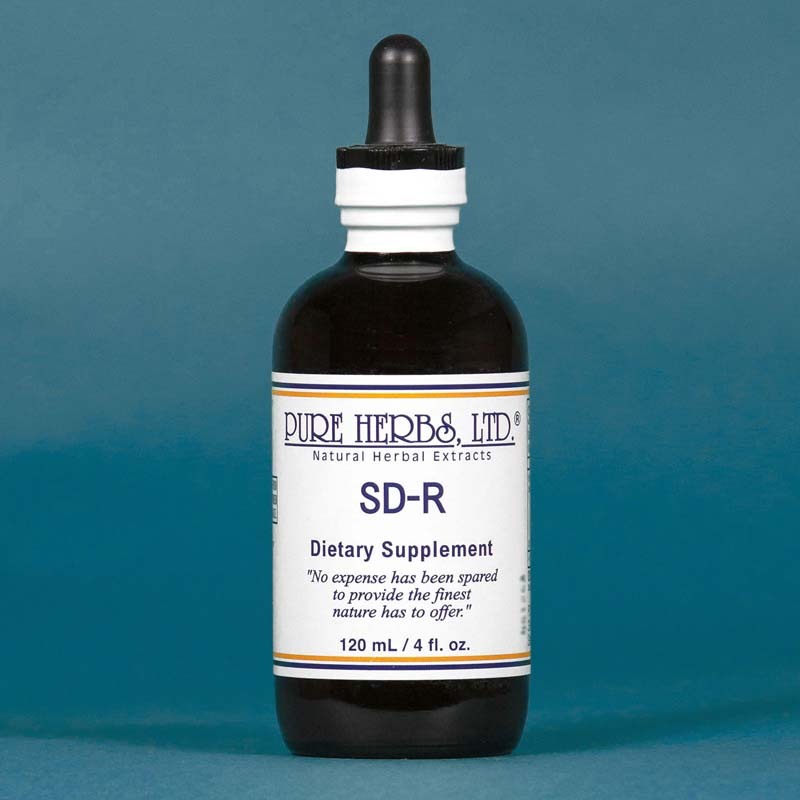 SD-R(Stone Dissolver-Reuben) Practiced Amish Herbalist, Reuben Schwartz, recommends this highly successful combination, as being "better than a hammer for smashing kidney and bladder stones and dissolving them". * The stones do not irritate in the process of dissolving, as the Marshmallow portion in this combination coats the particles and slides them out. COMBINATION:Stone Root, Marshmallow Root, Hydrangea Root. DOSE:40 to 80 drops hourly, while awake, with a glass of water until dissolved. A slower approach is 80 drops three times per day. KID-W (Kidneys) 4 fl. oz. UR-W (Urinary) 4 fl. oz. Chestnut Leaf Extract 4 fl. oz.